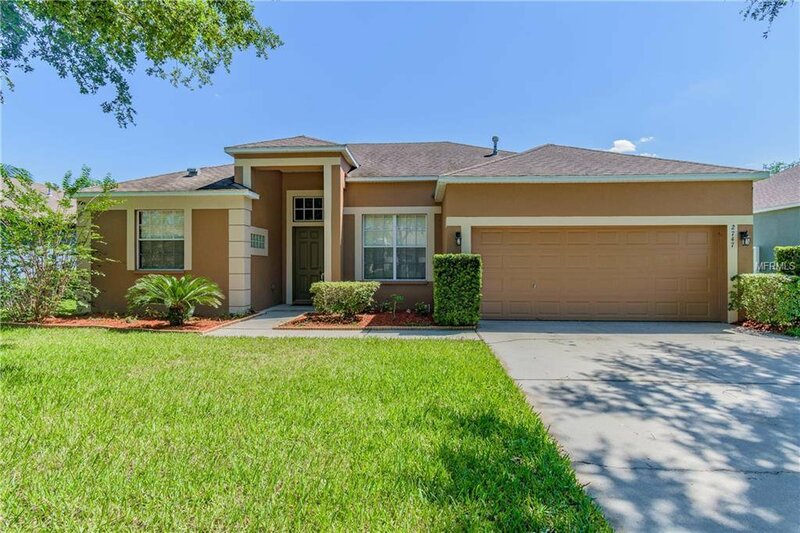 Welcome to this pristine and meticulously maintained 4br/3ba/2cg home located in the Abbey Grove subdivision of Valrico. Located on a large lot with plenty of room for you to add a pool! Architectural details include arched doorways, decorative plant shelves, and elegant crown molding. A sunny formal living room and dining room greet you upon arrival. You will appreciate the split floor plan which provides plenty of privacy to the master suite. The chef of the family will appreciate the beautiful 42’ upper cabinets, a built-in desk, and breakfast bar. The kitchen opens up to the spacious family room, allowing plenty of space for entertaining. The oversized master retreat includes glass sliders out to the covered lanai plus an en suite bath featuring his & hers vanities, a deep garden tub, and seperate tiled shower. On the opposite side of the home are a 2-well-appointed additional bathroom and 3 spacious bedrooms. Low annual HOA dues and no CDD make this a home you won’t want to miss! Make an offer today! Listing courtesy of ALLISON JAMES ESTATES & HOMES. Selling Office: ROBERT SLACK FINE HOMES.